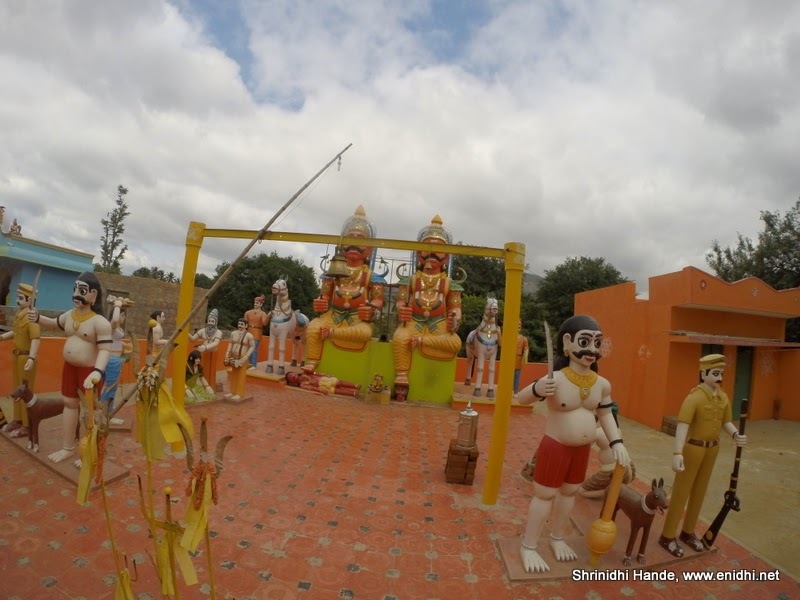 On our way to Hogenakkal from Bengaluru, (via Denkanikottai, more details in this post) we stopped at this roadside temple... A very colourful one with lots of idols. Sharing the pictures with you. Couldn't find any specific theme and doesn't look like these represent any known popular gods. Must be creations of local artists. Above two were clicked with Nikon and rest with GoPro. Notice the loss of colour in below shots. There were different status/idols including a policeman with dog. Didn't note the exact location of this place. Comes on the right hand side sometimes after Denkanikottai. Hats off to local people who have created this and maintaining. There was another similar campus several kms later, but that wasn't in best of the colours and needed a paint job. We spent a few mins here and proceeded with our journey. 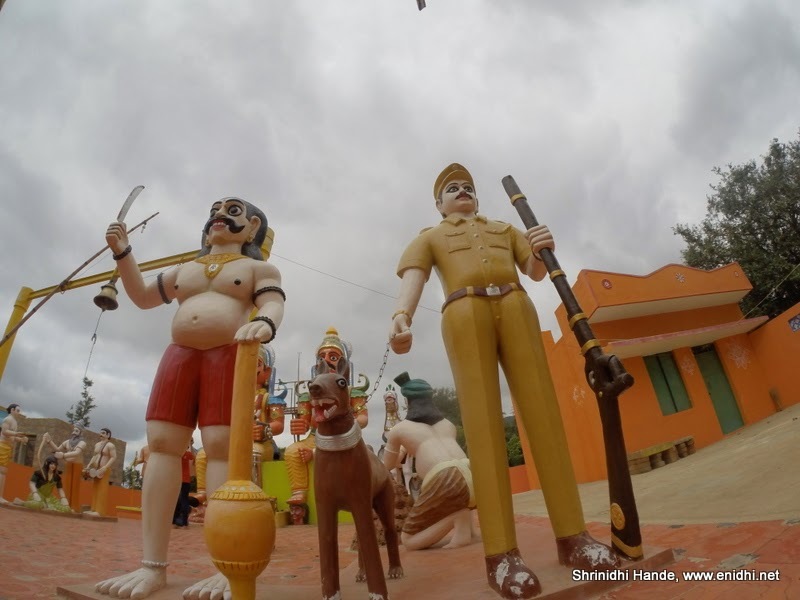 Do you know the significance of policemen in such Temples? 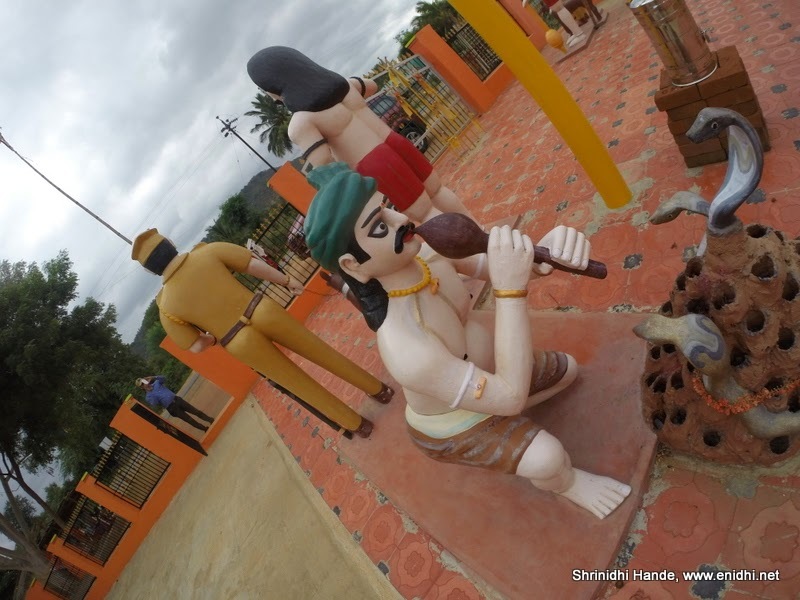 I have seen Policemen statues in many roadside Temples in Tamil Nadu. 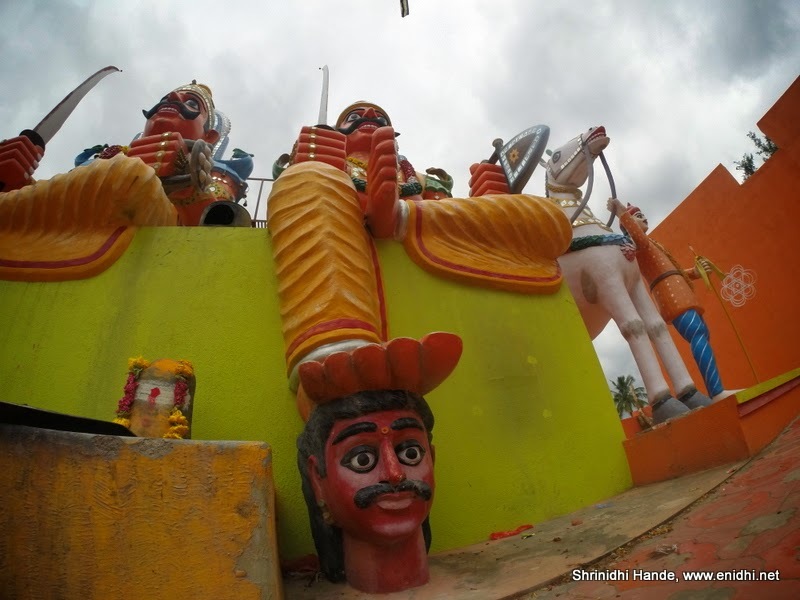 The significance of these in villages is what is known as grama devatas,they are believed to keep out evil and take care of the villages ,its a belief . the second part is my guess regarding the police being potrayed as gods ,is since police also protect people ,they are also shown as protectors and probably held in the same esteem. I have seen this place btw. Very interesting. I will keep a watch for these during my next drive. Yes, even I have observed this when I was traveling to TamilNadu, nice capture. Now, that's an interesting temple. I hope you get some answers and we get to hear of them too. The reds and yellows make these figures so attractive. 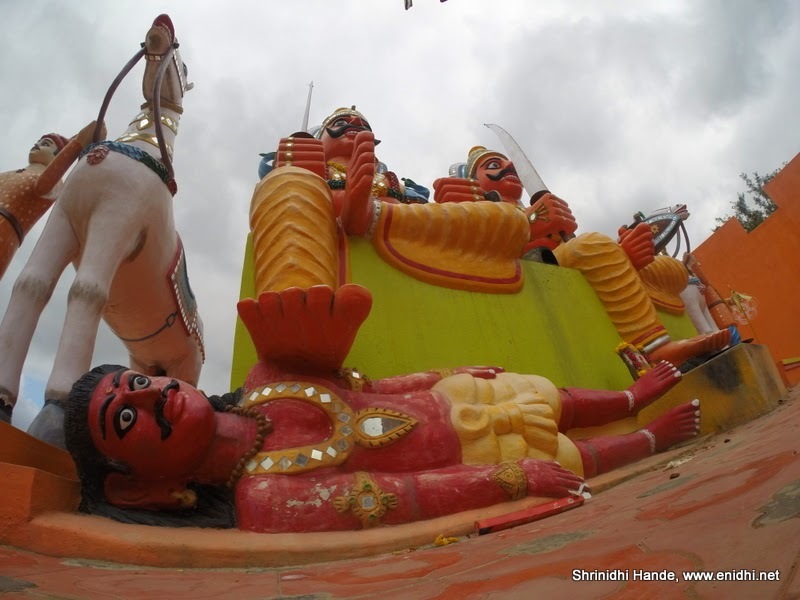 There is so much in India to see and I find that each and every temple has its own charm.